During weekends and lunch breaks, you'll find that heading to the nail salon is a major activity for both men and women. Since it's a polite local custom to remove shoes before entering a home, it is imperative to have impeccable feet and nails. A pleasant indulgence such as a quick foot and hand massage leaves you feeling fantastic and relaxed for the entire day. Sit back and enjoy the tea you'll be offered, while being pampered and polished. 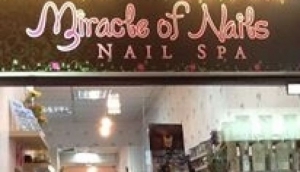 Let your mind wander as you sink into the comfortable, plush chair.You will find many nail salons throughout Singapore; here we list those we think are truly outstanding for both service and quality.